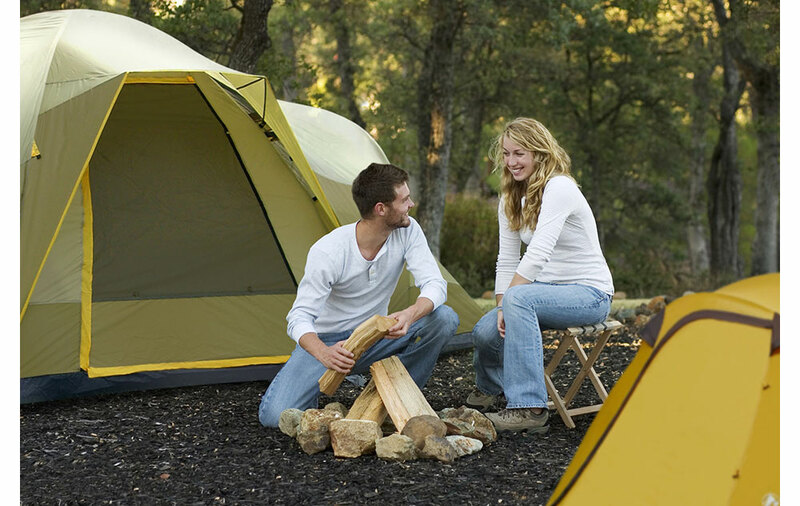 Make your next camping trip more comfortable and enjoyable with this GigaTent Wolf Mt. Modified Dome Tent. This dome tent is quick and easy to set up, and it provides plenty of interior volume and floor space. There are three twin track doors for easy access to the rooms, and it also features removable room dividers that allow you to choose between one large room or three smaller rooms. 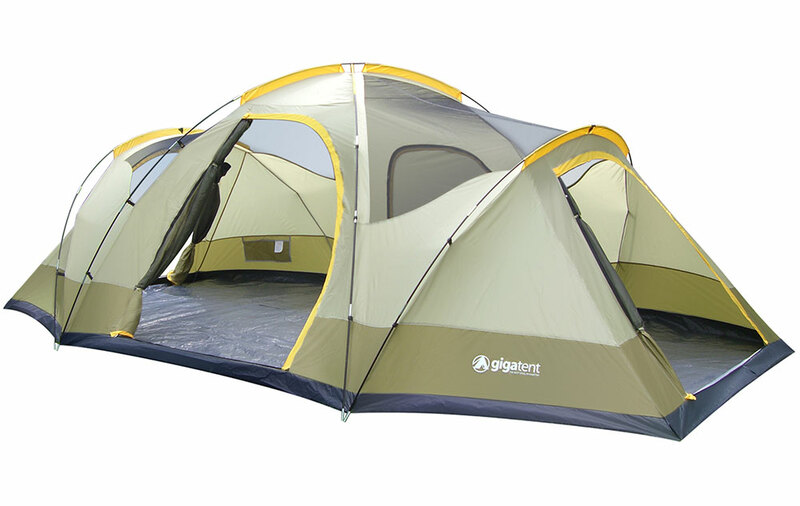 The three-room tent also has four windows, and the two large roof vents ensure air circulation by providing air flow. A bathtub floor helps keep things dry, and sewn-in pockets keep small items off of the floor. 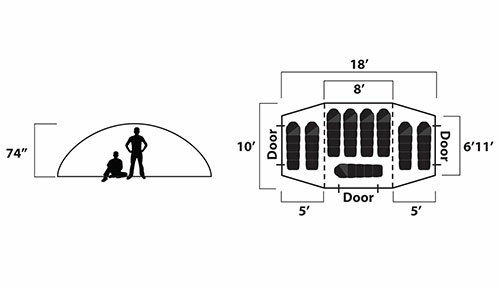 This 18′ x 10′ tent sleeps eight to nine people comfortably. 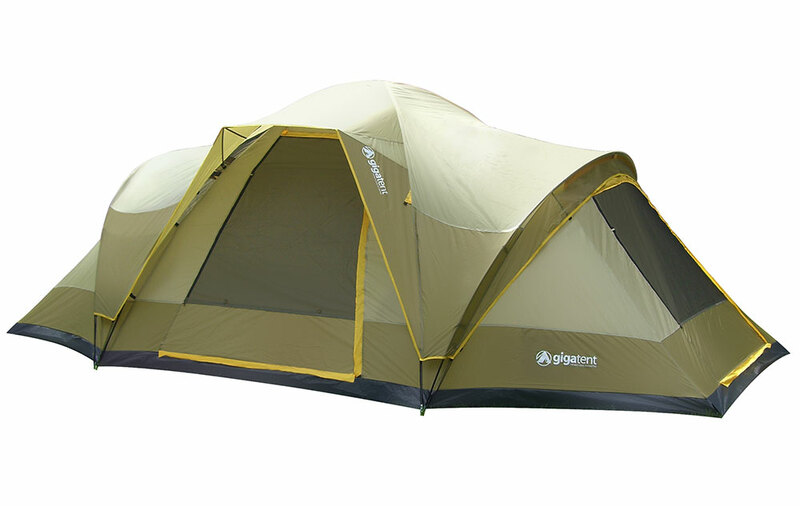 The lightweight design features fiberglass poles, waterproof polyethylene floor, polyester walls and a mesh roof. With a large duffle-style tent bag included, this tent is easy to pack and carry to the campsite or store away when not in use. 18" 0' x 10' 0"